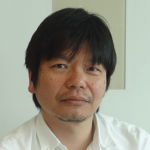 BONES President/Producer, Masahiko Minami, returns to AX 2016! We’re excited to welcome back BONES Inc President/Producer, Masahiko Minami, to Anime Expo 2016! After graduating from Osaka University of Arts’ department of film planning, he joined Sunrise Inc. as one of the production managers. During his time there, he produced titles such as Vision of Escalowne and Cowboy Bebop. He became independent. in 1998 and founded BONES Inc. together with Hiroshi Ousaka and Toshihiro Kawamoto. He aims to create titles which heavily emphasize character movements drawn by animators. Since founding BONES Inc. he has produced globally-renowned titles such as Cowboy Bebop: Knockin’ on Heaven’s Door, Fullmetal Alchemist, Psalm of Planets Eureka SeveN, Sword of Stranger, Space Dandy, Snow White with the Red Hair and many more. This year, he will be promoting the upcoming summer title: One Hundred Mob Psycho.